Sweeping cuts being proposed by the Trump administration could impact Meals on Wheels, a program that helps feed the poor and elderly, including many veterans. 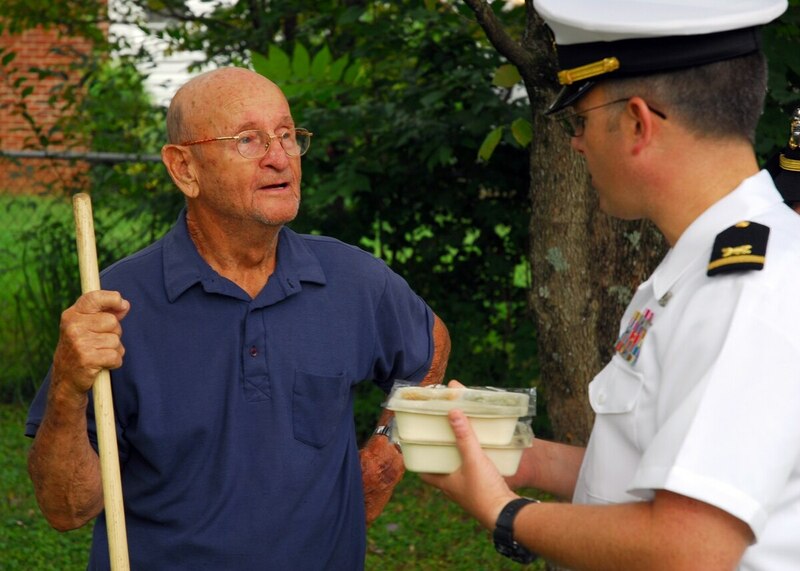 "Meals on Wheels serves 500,000 veterans each year. Any cuts to Meals on Wheels funding could cause programs to start waiting lists and cut back on the number of meals served," said Jenny Bertolette, a spokesperson for Meals on Wheels. "This would no doubt effect veteran recipients in states that use those block grants to support Meals on Wheels." The proposed cuts include roughly $3 million from the Department of Housing and Urban Development's Community Development Block Grant (CDBG) program, which funds Meals on Wheels and other programs, according to the New York Times. Meals on Wheels serves roughly 2.4 million seniors, and costs nearly $1.4 billion, a year. But only 35 percent of the costs is covered by the Older Americans Act, the "primary federal funding source," Bertolette told Military Times. "The rest is made up of contributions from state, local, private donations and other resources." The White House defended the cuts to the community block grant program at a press briefing on Thursday, "we spend $150 billion on those programs since the 1970s," said Mick Mulvaney, the director of the Office of Management and Budget. "The CDBGs have been identified as programs since I believe the first -- actually, the second Bush administration as ones that were just not showing any results. And Meals on Wheels sounds great -- again, that's a state decision to fund that particular portion." "We know for certain that there are Meals on Wheels programs that would lose vital funding if this proposal went through," which will hurt vital services that assist veterans all across the country, she added.